Barrel rotates to allow for smooth application. Heavy duty mechanism to cope with thicker sealants. 400ml suitable for both 310ml amd 400ml cartridges. 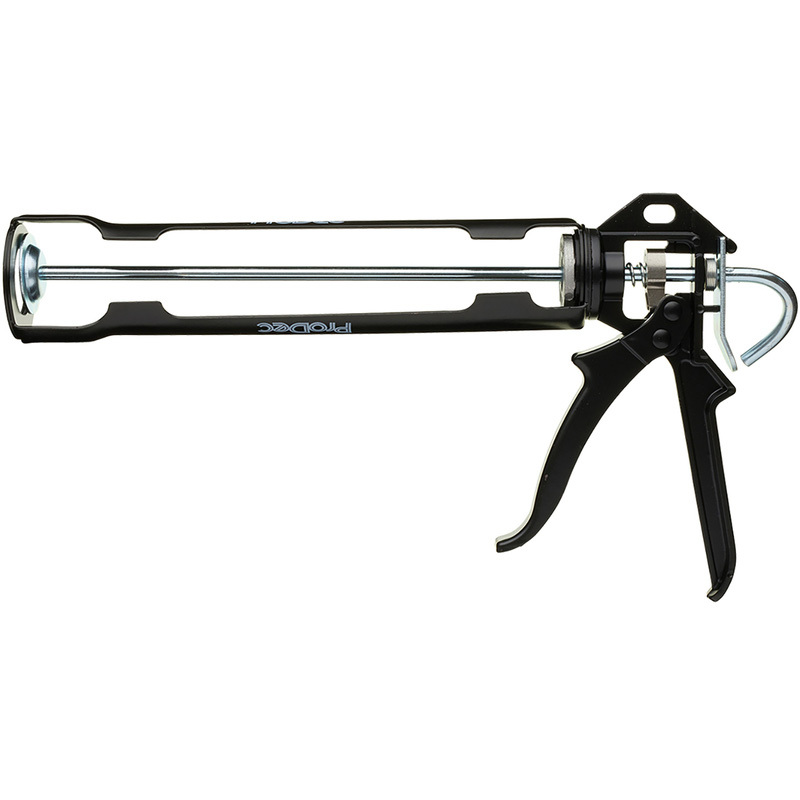 Rotating Sealant Gun 400ml is rated 4.6 out of 5 by 30. Rated 5 out of 5 by Sads from Does the job..! Appears to be well made and works well.! Have used other sealant guns in the past that have struggled to dispense Evo grip because of the consistency, but had no problems with this one. The other good features are that it takes the bigger cartridges and has a rotating barrel. Rated 5 out of 5 by Teej37 from Bargain! Very good quality and performance. Quality defies it's price! Rated 5 out of 5 by Stewygee from Only place I could get one asap.brilliant. Bought this a week ago very happy. Rated 5 out of 5 by Acidade from Robust This gun is well made at a good price. It is strong and reliable. Rated 5 out of 5 by Blunderbuss from A really solidly made tool. Looked at these in my local DIY shop, and although a couple of quid cheaper than Toolstation they were quite flimsy. When I ordered this one I was mighty impressed with the quality, and was glad that I hadn't bought the economy version. Should last years. Only four stars for reliability because I've only had it for a few days. Rated 4 out of 5 by RichardM from Not fully tested!. Having used a varied types of sealant guns, over the years, I decided to give this a try. Cannot give full praise at the moment, because it is still going through 'field trials', so to say. But for price, looks on quality, it appears to be a possible winner. Only time will tell, over a longer period of use!.